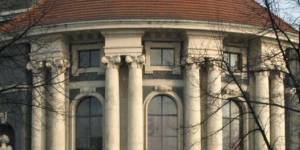 The Europa-Institut offers a one-year Master's program (Master of Laws, LL.M.) in European and international law with possible specializations in European Economic Law, Foreign Trade and Investment, International Dispute Resolution and European and International Protection of Human Rights. Each year, 75 students from all over the world come to the Europa-Institut, where highly qualified lecturers prepare them for the specific demands of the European and international job market. 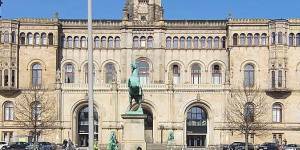 Obtain your graduate degree at Germany's top-ranked law school! Bucerius Law School, one of the top law schools in Germany, offers a 1-year graduate degree for young professionals: the Master of Law and Business. The Bucerius Master of Law and Business is an interdisciplinary and international program for young professionals from various academic and cultural backgrounds. The program offers two possible degrees: a Master of Law and Business (MLB) and a Master of Laws (LLM). The European Master in Law and Economics (EMLE) program offers the unique opportunity to study at two or three European universities. It provides students with advanced knowledge on the economic effects of divergent laws and prepares them for a career in public organizations or multinational law firms. Each participating university awards an LL.M. degree or a master degree which is equivalent to an LL.M. As an Erasmus+ Masters Course the EMLE is able to grant student scholarships and waivers. LLM in Amsterdam or Berlin? Part Time Job during LLM studies - Experiences? Public International Law - Amsterdam or Edinburgh?